DesignStix are embossed “Peel & Stick” Accents in unique mosaic designs. 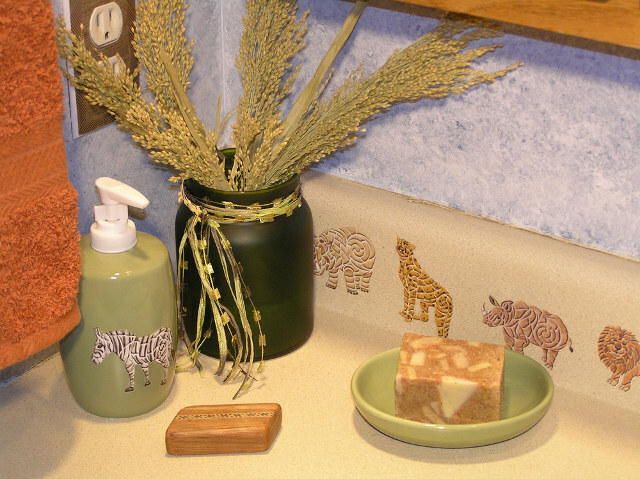 Adorable Aquarium and Zoo collections bring colorful splendor to tiles, porcelain, glass, plastic and metal accessories, mirrors, and almost all non-porous smooth surfaces. They are also great as decorating items for craft projects. *Products used on non-silicon based papers may not be reusable. They are non-toxic, self-adhesive, removable, reusable, washable and resistant to heat, water and steam. DesignStix are made in the shape of the design with no outlining borders. You have to see it to appreciate the texture and the beauty of it.